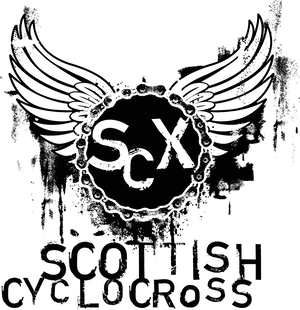 As the Scottish Cyclocross series heads into the second half of the season, the racers will head to an all new venue this Sunday in Inverkeithing, Fife. The event is hosted by Sandy Wallace Cycles and is dedicated to the memory of Stephen Lyle. The course consists of 1.3 miles of traditional cyclocross course - so pack your fast legs! Cafe, changing and shower facilities are available at the school. Racers and spectators are asked to keep off the sports pitches at all time and remove muddy footwear before they enter the buildings. Winners of trophies from the 2008 Stephen Lyle Memorial race, held at Cowdenbeath, are asked to return them at sign-on. The race is based in the grounds of Inverkeithing High School, which is located to the north east of the town centre. A Google Map showing the location can be found here. Inverkeithing is served by trains from Edinburgh Waverley and the race venue is a short ride from the station. Racing kicks off with the Youth race at 11:00. Further details can be found here.